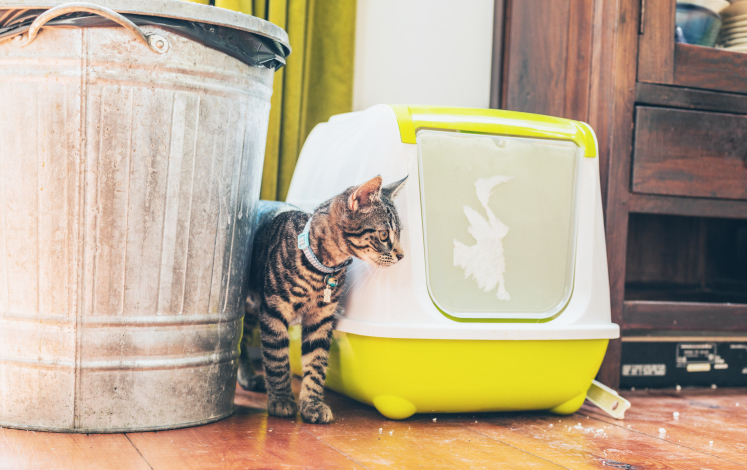 How to keep a zero waste pet is a question that stumps even the most experienced zero wasters. There are lots of questions: What do I do with kitty litter? Can you even buy dog food without packaging? What about meds? As with any situation like this, it’s important to remember that zero waste (though it contains the word zero) is not about perfection. Rather, the goal at its core is to severely lessen the amount of garbage we send out into the world. Reducing, reusing, composting and recycling are all tools we have at our disposal! Make the best of those tools, and we’ll all be a lot closer to zero. Now, back to the problem at hand: how to keep a zero waste pet. The biggest issues for most eco-conscious pet owners are 1) feeding, 2) waste disposal, and 3) entertainment. Here’s how to tackle it all! 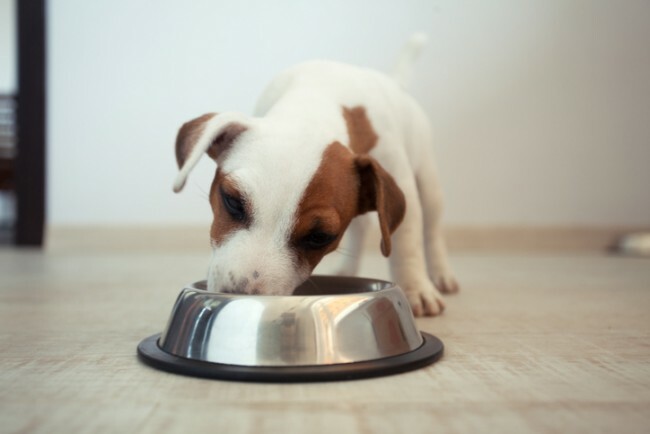 Buying zero waste dog and cat food can be a challenge. I’ve been to several health food stores that offer pet food in bulk, but I have to say, it’s pretty rare (but if you find it, stock up!). Should you be unable to find kibble in bulk, your next best options are to make your own (who’s brave?) or buy a product that comes in recyclable packaging — not technically zero, but not very wasteful either. Guardian Pet Food Company offers a mail-in solution for recycling through TerraCycle. A number of other brands have started doing so as well. Open Farm also offers a mail-in recycling option. Wet food comes in steel cans which are easily recycled in the U.S. But keep in mind that they are often lined with BPA. Most of us are used to picking up dog doo doo with plastic baggies and tossing it into the garbage. In a zero waste household, this is less than ideal. The first thing you can do is start picking up dog waste with newspaper. This one’s tricky. Our backyard compost bins are unable to process cat waste in a healthy manner, but it’s possible that your local city compost program can. Call and ask! Some might. 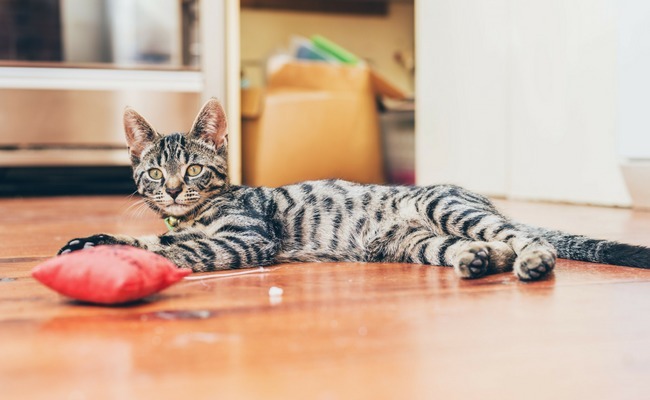 Cats usually take to new litters quickly, so introducing something like sawdust, mulch, or dirt from your local nursery can be a great way to go. To reduce the smell of cat waste, sprinkle some baking soda into the mix and let it do its work. Whenever possible, this is a fantastic opportunity to go shopping secondhand. A bowl is a bowl! If you are unable to find what you need in thrift stores, purchase products that are made from sustainable materials — for example, a stainless steel food bowl or organic cotton covered dog mattress. 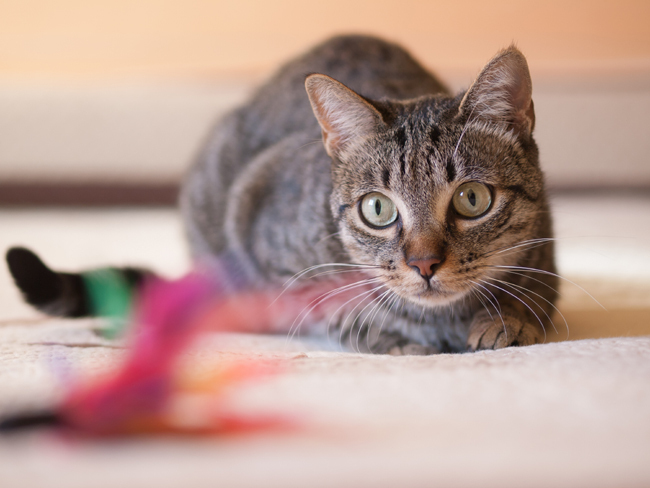 There are also a multitude of sustainable toy options out there, for both dogs and cats. Look for toys made from 100% natural rubber, jute, or other natural materials. (Here are some favorites I rounded up for Care2 earlier this year!) And, don’t forget, a cardboard box always works too!